The original course was designed in 1909 by the celebrated Scottish golfer, Willie Park Jnr, one of four golfing brothers from Musselburgh. Willie jnr won the Open in 1887 and 1889 before becoming one of the early golf course architects. The area in the Luscombe Valley, just inland from Poole Harbour, on which Willie was to build his course, was similar to links land, sandy and undulating but hillier. It was also far more heavily wooded than may be supposed. According to Golf Illustrated Magazine of 1909, some 13,000 trees were removed during the construction period. More of tree removal later in this piece. Of necessity, given the limited machinery available, the general practice was to retain the natural contours of the land and adapt to nature. With its imposing hills, Parkstone gained something of a reputation as “suitable for a qualified goat” with many blind shots. It is this combination that continues to test the best golfers to this day. During the 1920s Parkstone’s Board of Directors recognised the shortcomings of Park’s original design, in part due to the advance in club and ball design (how true that rings today). Although some changes were made at that time, it was apparent that the 100 acres of land was insufficient. The Chairman, Walter Shortt, arranged to purchase a further 63 acres of land from Lord Alington’s estate. There were many objections to this proposal from directors and members alike as the land, now forming holes 8 to 11, was poor and insufficiently drained. Nevertheless, in March 1932, the land was purchased for £5,000 and James Braid was employed to design the new holes. Six new ones were created, four significantly changed and eight remained much the same. 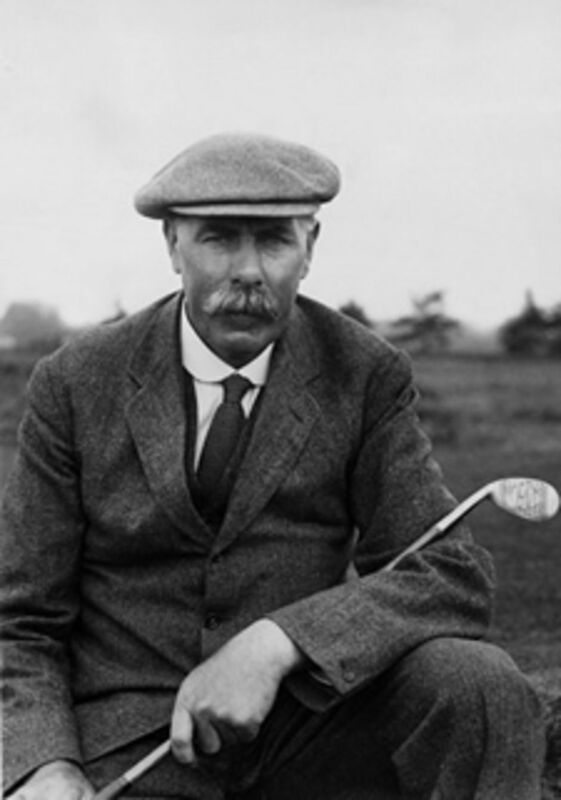 James Braid was Open champion five times in the early 20th century and employed as head professional at Walton Heath. An arrangement, whereby he was paid three guineas for each visit to Parkstone, was not entirely to his employers liking. He was involved in over 200 such projects over the years. Parkstone’s attraction is based on the fine heathland character of the course and its use of natural terrain. For many, the great avenues of mature pines made each hole a separate entity and added greatly to the appearance of the course. However, concerns about the quality of the course were expressed in the immediate post war years and in particular from the 1970s to the 90s. This decline was primarily caused by poor course management practices and was not particular to Parkstone with many traditional heathland courses being similarly affected. This was recognised as early as 1978 by Jim Arthur, the leading agronomist. The essential cure, recommended in 1997 by Donald Steel, the eminent golf course architect, was straightforward – remove many thousands of trees and their undergrowth. One of the main problems was that the local Borough Council insisted that pines are symbolic of the local area and were subject to blanket Tree Preservation Orders. Fortunately, salvation was at hand when the course was made a Site of Special Scientific Interest (SSSI) by English Nature (now Natural England) with a requirement to return the course to open heathland. Seen initially by the Club as being a thoroughly bad thing, this has now been recognised as being a thoroughly good thing. SSSI status became the catalyst to remove many thousands of trees to help return the course to its heathland heritage. Many of the glorious views across the course, with its beautiful undulations, have returned. For the playing surfaces, the improved access for air and light has resulted in stronger growth all the year round. Our recent Course Managers have maximised the benefits to produce the finest greens that the course has ever seen. In conjunction with recommendations by Martin Hawtree, another top architect to have helped Parkstone, much new bunkering has taken place to improve the course still further. It now sits firmly in the top 100 Golf Courses in Great Britain and Ireland. For more information, please visit articles to be found in our “Testimonials” section.